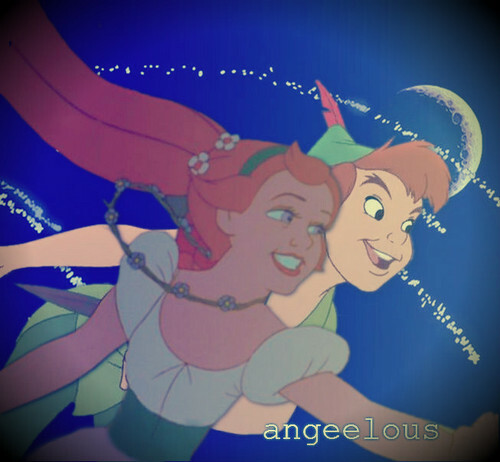 Thumbelina&Peter Pan. <3. . Wallpaper and background images in the Crossover Disney club tagged: disney non-disney crossover thumbelina peter pan. Ariel My Darling Will te Marry Me? "Do te Believe In Fairytales?"